High blood pressure or hypertension is a condition in which the force exerted by blood against your blood vessels is high enough to cause health problems. Uncontrolled high blood pressure increases the risk of a heart attack and stroke. Fish oil supplements may be used to lower high blood pressure. However, patients should avoid taking fish oil supplements together with high blood pressure medications. High blood pressure is treated using drugs such as diuretics, ACE inhibitors, beta blockers and calcium channel blockers. Diuretics lower high blood pressure by removing excess fluids from the body. ACE inhibitors help widen blood vessels by blocking angiotensin hormone, which constricts blood vessels. Beta blockers lower high blood pressure by blocking the nerves and hormones signals that raise high blood pressure. Calcium channel blockers prevent calcium from entering the cells of heart and blood vessels, which lowers blood pressure. The most common side effect of all high blood pressure medications in hypotension, or abnormally low blood pressure. Fish oil supplements are made from fatty fish such as cod liver, tuna, herring, mackerel and whale blubber. 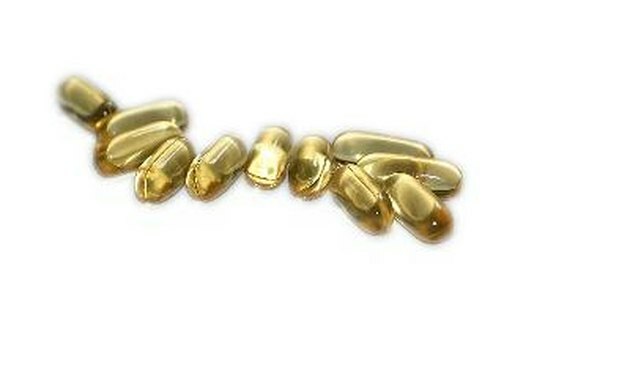 Fish oil supplements are mostly used to lower high blood pressure and high cholesterol. Taking fish oil supplements together with high blood pressure medications can cause the blood pressure to drop too low. Patients who take fish oil supplements together with high blood pressure medications may experience symptoms such as dizziness, lightheadedness, fainting, blurred vision, rapid shallow breathing, problems concentrating, fatigue, depression, cold clammy skin, pale skin and thirst. Overdosing on fish oil supplements or high blood pressure medications can also cause symptoms of hypotension even if the drugs are not taken together. Patients with less severe high blood pressure may take fish oil dietary supplements to help decrease high blood pressure, but a doctor should be consulted firsts. Fish oil contains omega-3 fatty acids, which help to expand blood vessels. This helps to decrease high blood pressure. Fish oil supplements also help protect the kidneys from damage by high blood pressure. Patients with mild high blood pressure who eat fatty fish regularly may require fewer fish oil supplements.